For this week’s Big Interview, I was honored to question my colleague Amber Hestla, chief investment strategist of the trading services Income Trader, Profit Amplifier and Maximum Income. 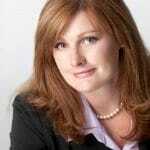 Amber specializes in generating income using options strategies that minimize risk. Amber learned to survive in the concrete canyons of Wall Street… and the dusty battlefields of Iraq. Amber (pictured here) served in Operation Iraqi Freedom. While deployed overseas with military intelligence, she learned the importance of interpreting data to forecast what is likely to happen in the future. It’s a skill that helps her find hidden investment gems that go on to score market-crushing gains. Upon her return home from Iraq, Amber worked as a trader for a Registered Investment Adviser with $200 million in assets under management and as an independent research analyst. This week, I sat down with Amber for a one-on-one interview regarding her take on the latest investment news and trends. You’re no stranger to geopolitical risk — as a veteran, you’ve actually lived it. What are the worst geopolitical risks bedeviling investors today? Is it Russian expansionism, North Korean saber rattling, the U.S.-China trade war, Middle Eastern strife, Brexit… or is it something else? I guess by their very nature, “Black Swans” are always surprises. The trade war is a big risk, and some kind of trade war is likely in the next year or so. Eurozone tensions are almost certain to flare up over time. These are two risks that everyone knows about and understands. Markets will react quickly to these. Everyone also knows about the risks in Latin America, but many seem as if they want to ignore them. Venezuela is imploding and spillover from the collapse of that country is likely to affect neighboring countries like Brazil and Colombia. Brazil also faces political turmoil, where corruption and social unrest are widespread. Colombia is also corrupt and violent as drugs continue to cause problems in that country. Spillover from Colombia could affect stability in Ecuador. And, of course, it can affect stability in the countries of Central America as citizens seek safety by moving north. If that’s not enough to make you pay attention to that region, don’t forget Russia is sending help to Venezuela while China is providing support to Ecuador. The U.S. is unhappy about both of those developments. We have the potential for a three-way superpower showdown in the region, along with plenty of potential for miscalculations as violence spills across borders. These factors are already contributing to the problems at the border and are only just beginning. Exactly how does your military experience help you as an investment strategist? I worked in the intelligence community and later I did undercover work in law enforcement. Both of those positions prepared me for the financial markets. Intelligence, among other things, means looking at the same data everyone else has and finding something no one else sees. For example, every group in a country will have road maps and satellite imagery of the roads. Analysts, both good guys and bad guys, will be reviewing that same data looking for an edge. My job was to understand what the bad guys saw and develop strategies to avoid any problems they might try to cause. Markets consist of two sides but instead of bad guys and good guys we have buyers and sellers. Here, my job is to find which side has more impact and avoid any problems the other side is causing. Both fields also require sorting through an incredible amount of data and determining what can safely be ignored and what needs to be acted on. Working undercover means staying calm under pressure. It’s probably obvious how that experience helps in the markets. What are the key financial metrics that you apply when weighing a potential investment? I rely heavily on the price action and indicators that I developed. I won’t go into detail here but my Income Trader Volatility, or ITV, indicator is completely explained in a recent white paper. ITV was specifically designed to time trades in options and it is the only indicator developed for that purpose of which I’m aware. When looking at fundamentals, I consider sales growth and cash flow from operations to be the most important metrics. Sales growth indicates cash flow should be growing and cash flow from operations is needed to sustain the business in the long run. I like these metrics because in a successful company and a good stock, you really can’t have one without the other, so these metrics allow for a thorough analysis of the company’s financials. 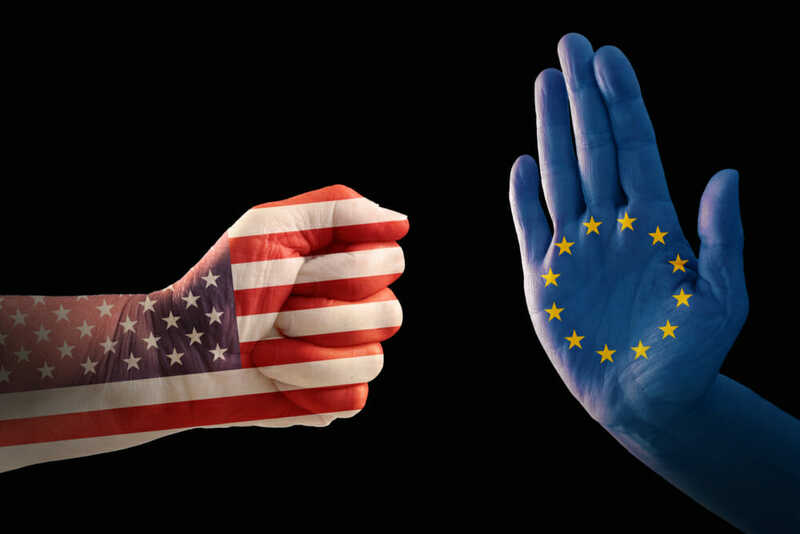 Trade war reared its ugly head this past week, this time between the U.S. and the European Union. How big a risk do you think global trade friction poses to investors and how can they hedge their portfolios? I spend a lot of time studying history and it’s common to see leaders escalate tensions thinking they have everything under control. But they don’t. There is always a surprise that results in conditions spiraling out of control. What’s interesting is that as leaders approached crises in the past, they believed that they had learned the lessons of history. They believed this time is different because they are in control. I think that sums up the trade frictions we are seeing now. It’s easy to believe that this time is different because we have treaties and rules that will limit the damage. I believe this time will not be different and it will end badly. In my opinion, the probability of at least one global leader making the wrong move in all this is at least 50%. That will set off a significant decline in the stock market. You can’t really hedge the risks of a trade war because the damage will affect every country and every industry in the world. It’s better to prepare for the war than to pretend you can walk to the brink of disaster and be a hero at the last minute. It’s better to reduce exposure to the stock market now, before the next bear market. I don’t think it’s ever best to be 100% in cash because you never know, but maybe reduce exposure so you aren’t 100% invested in stocks when the bear market does start. What’s the biggest threat to income investors right now? Central banks around the world are probably the biggest threat to income investors. The obvious threat is that central bankers are now comfortable with low interest rates and that means investors receive low yields on their money. That hurts. The real threat is that the Fed and central bankers around the world have decided they are “masters of the universe” so to speak and can control inflation with negative interest rates, quantitative easing and other policies that were unheard of 20 years ago. The truth is they don’t really know how to unwind their policies in the real world. I’m certain there will be unintended consequences associated with all this monetary experimentation and at least some of them will show up in the real world as spikes. That means we have a significant probability of an inflationary spike, a spike in interest rates, a spike in defaults as rates rise and a subsequent spike in unemployment along with a downward spike in economic growth. In other words, the greatest threat to income investors is the fact we are in uncharted territory, guided into the territory by individuals who used their best guess instead of a map to get here and who are likely to be slow to respond when conditions change. My advice is to maintain just a small exposure to bonds and consider alternative income strategies. In the context of today’s investment conditions, what are your recommended asset allocations for a balanced portfolio, generally speaking? Breakdown the optimal percentages for stocks, bonds, precious metals, cash, et cetera and explain why. First of all, cash is different, and I don’t think cash should be thought of as part of a portfolio. Here’s a secret I learned working with investment advisers: the reason many investment advisers recommend holding cash is so that they can collect their fees every quarter. By having an allocation to cash, they will never have to sell anything to pay themselves. They convince investors cash is an asset and they get paid 1-2% to hold your cash and guarantee their fees are paid on time. I do recommend holding cash and I believe everyone should have 3-12 months of living expenses set aside. A Treasury Direct account is a great way to hold cash using 12-month Treasury bills, having one that matures each month and can be reinvested unless it’s needed for an emergency. With an adequate cash reserve set aside, investors can be more aggressive in their portfolio. Ignoring cash, which is held outside the portfolio, I think 10% of the portfolio should be a disaster hedge in gold or other natural resources. This can include some mining stocks but at least 5% of the portfolio should be in bars and coins so they are accessible in case of disaster. That leaves 90% of the portfolio to split between equity and income markets. I believe half of that (45%) should be in equities and the rest (45%) dedicated to income. For income, I recommend a small allocation to shorter-term bond ETFs because they carry less risk than long-term bonds which will suffer large losses when spike risks develop. This won’t surprise you, but I believe 25% to 35% of a portfolio should be in active income strategies like selling puts or covered calls. This part of the portfolio actually grows quickly and that means the amount of dollars allocated to equities will grow rapidly, even though only 45% is exposed to the risk of the stock market. 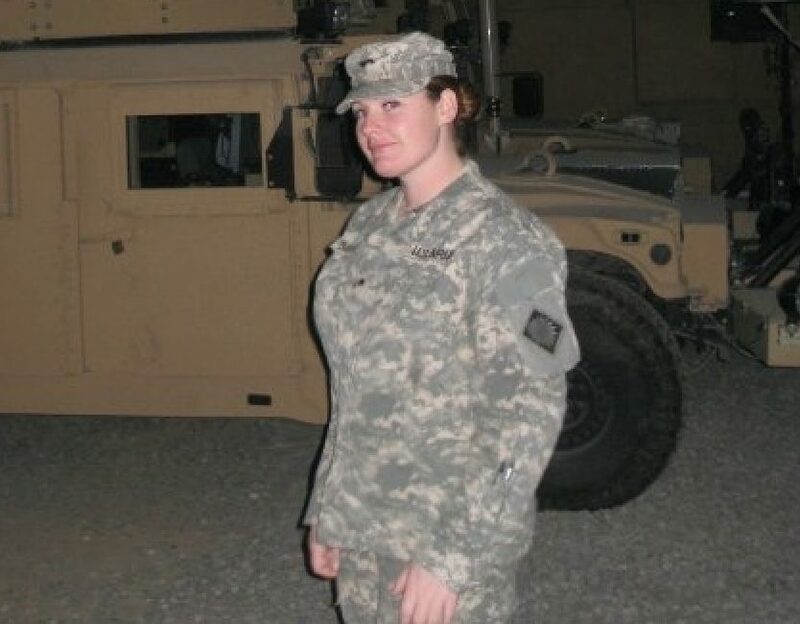 Editor’s Note: You’re looking at a picture of Amber Hestla, when she was stationed in Iraq. She served as a Military Intelligence Analyst (MOS Classification 35F, in military jargon). For her role in Operation Iraqi Freedom, Amber received the Army Commendation Medal. She now lives as a Wyoming rancher, raising two children and applying her military intelligence skills to picking investments. She bought her 80-acre ranch with cash…from just five minutes of “work” each day as a trader. Want to learn Amber’s investment secrets? Click here now for a free demonstration.